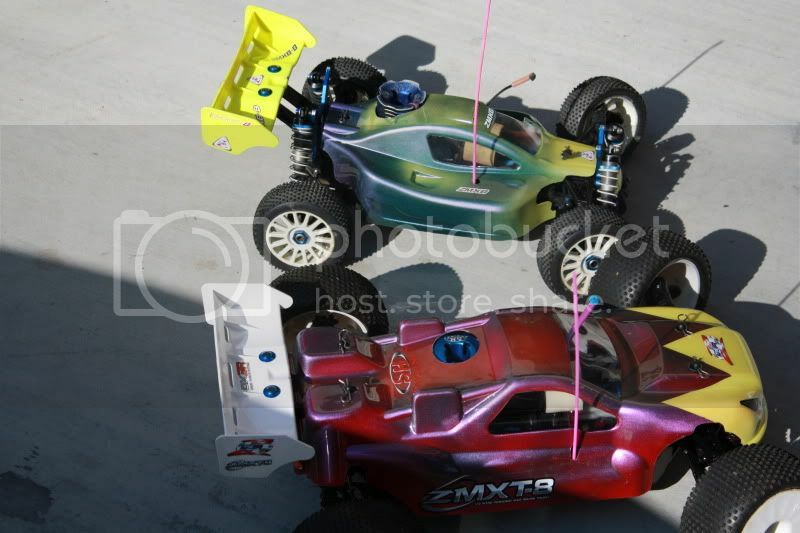 Im looking to convert my truggy from the pullstart to a box start can anybody tell me if the DYNAMITE DYN0960 PULL-START ELIMINATOR formerly the SWK8057 backplate will work on the LRP/SH .28 pullstart? 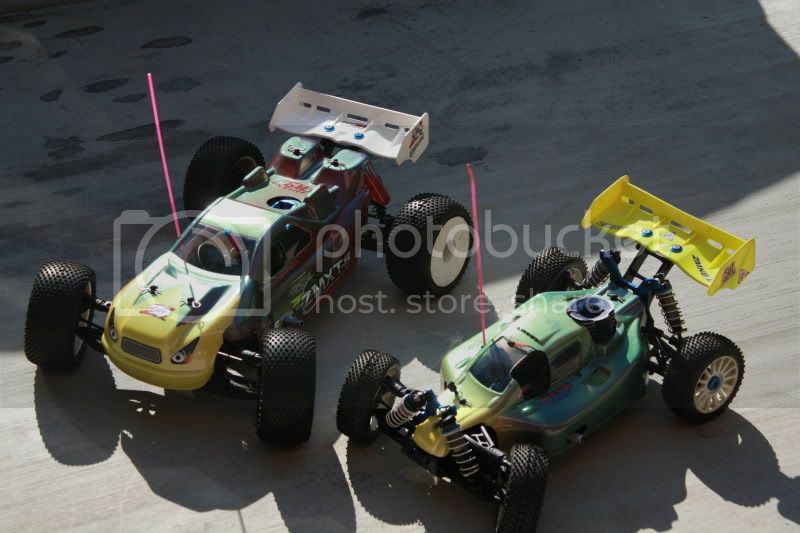 also are the buggy engine mounts the same size as the truggy ones? i can only find the buggy ones here in australia. thanks in advance for any info to help me with this. I know the backing plate will work, you should cut the crank pin. Oooow Paint day, I hope to have her on the track this week!! I can hardly wait, Real tempted to do an "Easyryder" paint job!! 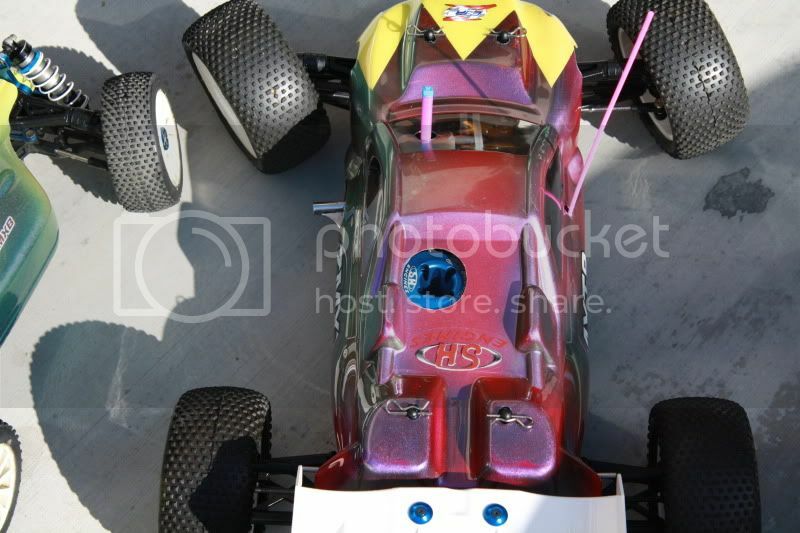 Pics of new Truggy paint..I am Surley not a painter! Ran mine Saturday at Pineland RC, was gonna be a trophy race, but not enough showed, so it was a practice day, followed by an Ironman race , which I am proud to say my Z-Truggy won! The guy that beat me in Pro last time was not able to do anything with me in practice, and I was chasing one of our fastest team drivers, so I am getting in the groove big time with our Z-Truggy!! I will post my setup as soon as I get a chance, I love this truggy! 3rd tonight in the 1st round of Hot Summer Nights series. I LOVE my Z-Truggy! Mine and Jay'z Z's bodies done at our Team Painters, I dunno which is mine and which is his, but I would be thrilled with either!!!!!! We have Z new cnc braking system in now, its beyond bad. When the bodies come in later this week I will take some pics, we also have some buggy bodies (3) on the way as well! !